Laois Hire Traffic Solutions is a dedicated Division of Laois Hire Services Group. We pride ourselves in providing safe, efficient & competitive Traffic Control Systems across Ireland. Over the past five years we have provided Nationwide Traffic Management services to some of the country’s leading infrastructure development companies. Laois Hire Traffic Management Division can offer traffic controls ranging from the smallest Type C, Level 1 type setups to Type A Level 5 & 6 systems which will be implemented by our team of Traffic Management operatives. Our traffic management team are dedicated to providing all customers with total protection as outlined by chapter 8 of the traffic signs manual and to meet customer demand we operate 24 hours a day, and 365 days a year. We operate responsibly and transparently and place great emphasis on developing strong, long-term partnerships with our customers. Why Choose Laois Hire Traffic Management? Laois County Council Water Services Section as a Local Authority and working on behalf of Irish Water have used Laois Hire Traffic Management Division regularly since 2012. For utility provision, reliable and safe TM support complying with Chapter 8 of the TSM is often required at short notice. Laois Hire have consistently delivered a professional and courteous service for all manner of TM scenarios for both planned and emergency works. Supporting documents such as TPMs and Method Statements are provided promptly and to a high standard. With increasing emphasis on the provision of a safe working environment for the employee under the SHWW Act 2005, compliant TM is key for those working on the road. We have also found the services provided by Laois Hire to represent good VFM with consistent rates applied for routine works allowing us to efficiently plan and close out projects. Road surfacing works along N52 through Birr town, extending towards Roscrea. Works implemented were numerous Stop/Go set-ups and road closures through the town of Birr. Water/sewerage upgrade works, road closures/stop – go/traffic lights set-ups in the towns of Portlaoise, Stradbally, Abbeyleix, Durrow, Rathdowney, Mountrath and Clonaslee. 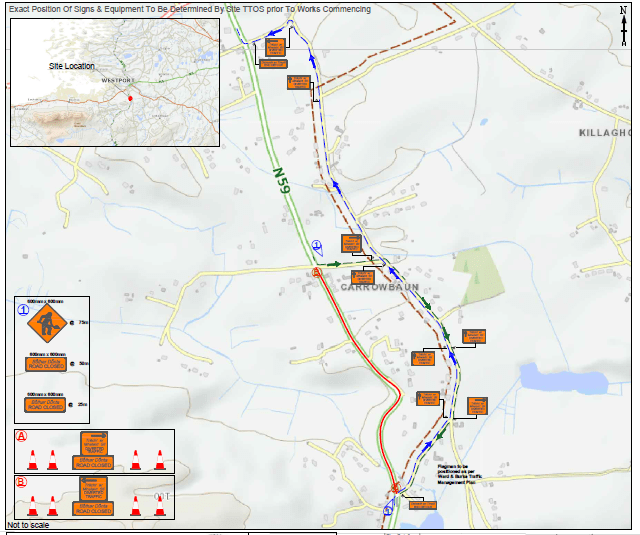 Planning and development of new road crossing at existing roads. Works implemented were Stop/Go, Traffic light set-ups and ALL STOP. 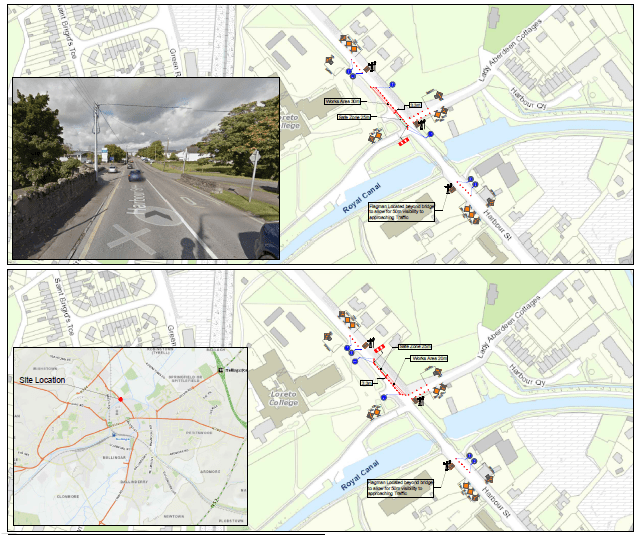 Laois Hire Traffic Management Division are responsible for the design of Temporary Traffic Management measures for two of the three stages of this project. Vartry to Dublin water network upgrade. Works implemented were road closures, traffic lights and stop – go/traffic lights set-ups in the towns of Portlaoise, Stradbally, Abbeyleix, Durrow, Rathdowney, Mountrath and Clonaslee.